I recently read Pope Saint John Paul II’s apostolic letter Rosarium Virginis Mariae (“On the Most Holy Rosary”), promulgated in 2002, and thought I would offer something of a summary of it here. The Rosary might be one of the most misunderstood prayers that Catholics use – and that includes a lot of Catholics! 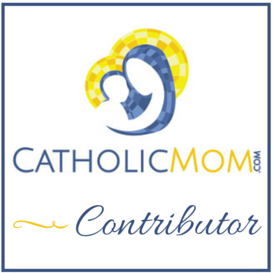 I wrote about my own struggles with the Rosary here. You can read more about what an apostolic letter is (and how it differs from an encyclical) at this link. Please feel free to share your experiences praying the Rosary in the comments below. The Rosary, Pope John John Paul II tells us, is a way to assimilate the mystery of Christ through meditation and through the repetition of prayers, especially the Hail Mary. Each of the mysteries is contemplated over the background of ten Hail Marys. It is this very repetition that some Protestants find troubling, but the pope tells us that we should look more deeply at the prayer (and the repetition) to see its real meaning. “If this repetition is considered superficially, there could be a temptation to see the Rosary as a dry and boring. It is quite another thing, however, when the Rosary is thought of as an outpouring of that love which tirelessly returns to the person loved with expressions similar in their content but ever fresh in terms of the feeling pervading them.” To put it another way, and I believe it might have been Scott Hahn who said this, praying the Rosary is a way to ask the Blessed Mother to pray for and with us while telling her “I love you” with each Hail Mary. What mother ever tires of hearing her children tell her this? Another aspect of the Rosary that is commonly misunderstood is the direction of the Hail Mary throughout it’s recitation. But the Hail Mary is a prayer rooted in Scripture, and therefore it is a prayer rooted in Christ. Jesus lies at the very center of the prayer (literally and figuratively), for “although the repeated Hail Mary is addressed directly to Mary, it is to Jesus that the act of love is ultimately directed, with her and through her.” He says that our repetition of this prayer is because of our desire to become more like Christ, to conform ourselves to Him. If we look carefully at the words of the prayer that is the main body of the Rosary, we see that all of it is directed towards growing closer to Christ. The Rosary is just another way to use our natural human rhythms to help us focus on the meditations and the mysteries. The repetition creates a soothing rhythm in the background of our thoughts about the life of Christ. “In effect, the Rosary is simply a method of contemplation.” [emphasis original] And yet it is not the end for which we strive, but a means to it. The Rosary is not the purpose of the meditation, but it is a tool to lead us to Christ. Becoming more like Christ, becoming a better Christian, learning to love the Lord more fully…these are the ends that the Rosary is a means to bring us to. This is the whole reason that John Paul added the Luminous Mysteries to the Rosary: to enable us to more deeply enter into the mystery of the life of Christ and to find new ways to emulate Him. These mysteries and the suggestions for recitation that will follow “are intended to help the faithful to understand [the Rosary] in the richness of its symbolism and in harmony with the demands of daily life.” What the pope wants to avoid is the idea that the Rosary beads are some sort of amulet, magic object, or superstition rather than a way to improve the spiritual life of the people who pray with them. To regard them as some kind of lucky charm would “radically [distort] their meaning and function. John Paul II comments that, although this is a beautiful way to encounter the Gospel, it is not a replacement for reading the Scriptures, nor is it exhaustive in its content. So the Rosary should be considered a companion to, not a replacement for, lectio divina. The Rosary, even with the addition of the Luminous Mysteries, should be an introduction to deeper study of Scripture. After announcing the mystery and reading a passage from Scripture, it is fitting to also pause in silence to contemplate the mystery before beginning to pray aloud. Silence should be an important part of our prayer life, and John Paul II remarks how difficult it is to achieve silence in our technologically-focused world (even back in 2002!). “One drawback of a society dominated by technology and the mass media is the fact that silence becomes increasingly difficult to achieve.” Now more than ever, we should seek that silence in our prayer life, and a short pause to reset our minds on the Rosary and the Mystery at hand is a perfect time and place to practice it. Once we have announced the mystery, proclaimed the Scripture, and paused in silence, our minds are ready to be lifted up to the Father. “Jesus always leads us to the Father” John Paul tells us. Beginning each decade of the Rosary with the Our Father reminds us that we, too, can call Him “Abba/Daddy.” With God the Father as our own Father, too, we become brothers and sisters to Christ. “Yet when the Hail Mary is properly understood, we come to see clearly that its Marian character is not opposed to its Christological character, but that it actually emphasizes and increases it. The first part of the Hail Mary … is a contemplation in adoration of the mystery accomplished in the Virgin of Nazareth. … The repetition of the Hail Mary in the Rosary gives us a share in God’s own wonder and pleasure: in jubilant amazement we acknowledge the greatest miracle of history. Mary’s prophecy here finds its fulfillment: ‘Henceforth all generations will call me blessed’ (Luke 1:48). “The centre of gravity in the Hail Mary, the hinge as it were which joins its two parts, is the name of Jesus. … Pope Paul VI drew attention, in his Apostolic Exhortation Marialis Cultis, to the custom in certain regions of highlighting the name of Christ by the addition of a clause referring to the mystery being contemplated. … When we repeat the name of Jesus … in close association with the name of his Blessed Mother, almost as if it were done at her suggestion, we set out on a path of assimilation meant to help us enter more deeply into the life of Christ. Traditionally, Catholics use Rosary beads to help navigate the Rosary. “At the most superficial level, the beads often become a simple counting mechanism to mark the succession of Hail Marys.” However, there is symbolism to be found in our Rosary beads that can aid our contemplation and bring us deeper into the mystery of Christ. The beads themselves, in their simple circle, also “evoke the unending path of contemplation and of Christian perfection.” Blessed Bartolo Longo saw them as a sweet chain that binds us to God, as a “filial” chain that puts us in tune with Mary and (even more importantly) with Christ Himself. Both Mary and Christ are examples of servants for us: Mary called herself the “handmaid of the Lord” and Christ made Himself a “servant” for love of us. Praying the Rosary well means that we pray a litany “in which Mary acts as Mother, Teacher, and Guide” for those of us who pray. Because Mary has been our guide throughout our contemplations, we finish our Rosary with the Salve Regina (“Hail, Holy Queen”). While these are offered as a suggested pattern for our week, St. John Paul emphasizes, “What is really important is that the Rosary should always be seen and experienced as a path of contemplation.” Whatever mysteries we pray on a given day, the most important thing is that our contemplation of the life of Christ brings us closer to God and to Christian perfection. Has the Rosary led you closer to Christ and His Blessed Mother? How has this affected your own spiritual journey as a Christian?